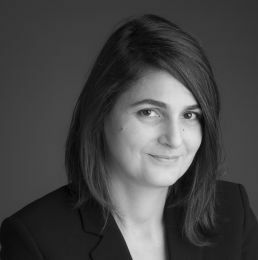 Laetitia Amzallag joined the firm after two years with the M&A and corporate department of Moquet Borde & Associés (Paul Hastings) in Paris (1999-2001). Laetitia focuses her practice on M&A transactions, joint-ventures and strategic alliances and partnerships, disposals, external growth and equity investments, general corporate law and commercial contracts, both domestic and multijurisdictional. She has put an emphasis on the renewable energy sector where she has acquired in-depth experience in the development, by operators, of wind, solar or biomass plants as well as equity investments of financial or corporate investors in SPVs. Laetitia represents French and foreign undertakings for their transactions in a wide range of business sectors (industrial, SAAS providers, start-ups, marketplace operators, sports and leisure, etc. ).